Satire as a journalistic tool is a serious business, especially for journalists around the world who do not have the protections afforded late night U.S. television hosts. 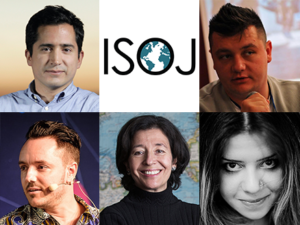 Members of a Saturday morning ISOJ panel — GLOBAL ROUNDUP: How news organizations are using satire online around the world — are looking forward to the discussion chaired by María Teresa Ronderos, director of the Program on Independent Journalism at Open Society Foundations. The award-winning satirist and comedian, whose work has appeared on BBC, Channel 4 (U.K.), The Guardian and CNN, said satire is a tool to inspire young people to become involved in transforming Zimbabwe. “Some of our most popular shows ever were released during the coup against former President [Robert] Mugabe in November 2017 where we were mocking the military intervention. Because of our satire we have had team members arrested, we have been accused of attempting to overthrow the government and our offices have been raided by the police,” Monro said in an email. 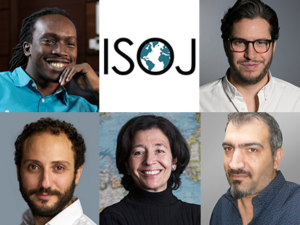 Like almost any journalist in the digital age, Uraiqat also wonders about sustainability, how satirical news organizations can survive financially when funding is difficult to source. In addition to editing Šatro Info, a political satire magazine based in Sarajevo, Dedović is also executive director of the Association for Media and Civil Society Development, a non-governmental organization focused on contributing to the development of media and civil society in Bosnia and Herzegovina. Carlos Cortés is the creator of Colombia’s La Mesa de Centro, a video blog that is part of the La Silla Vacía website. A media law professor and journalist, Cortés uses satire and commentary to skewer both politicians and the news media in Colombia. King Muriuki is a producer for The XYZ Show, an award-winning creation of Buni Media in Kenya. Launched in 2009, Buni Media has since expanded from its Nairobi base to Los Angeles. The XYZ Show, also launched in 2009, is Kenya’s first satirical political puppet show, not unlike the ground-breaking British show Spitting Image. Cartoonist Vahe Nersesian is a co-founder of MediaLab in Armenia. Also an illustrator, writer and director, Nersesian’s creations target not only Armenian politics and culture but also international issues. Also from Armenia, Marianna Grigoryan is a co-founder and president of Umbrella Journalists’ International Network NGO, which includes MediaLab and Comics, where Nersesian’s work can be found. Grigoryan is a veteran investigative journalist and editor who has won numerous awards for her courageous efforts, including the Amalya Kostanyan award from Transparency International and OSF in 2017.